Information Overload is an increasing problem both in the workplace, and in life in general. Information Overload is when you are trying to deal with more information than you can process to make sensible decisions. The result is that you either delay making decisions, or that you make the wrong decisions. And let’s be honest, we all feel a kind of information overload because of all the sources of information we have today. If you are an information Worker, you must go get all the information from SharePoint, Email, Yammer, and other systems you might have such as Zendesk, SalesForce, etc. Also, as an information worker, even if you have documents in SharePoint, conversations in Yammer and customer information in Salesforce, Outlook is probably the hub of your daily activities. 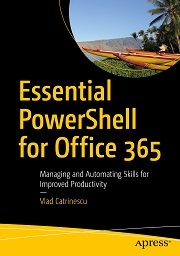 You go to your Outlook in the morning to view your daily agenda, and then you exchange important information with your colleagues and customers. 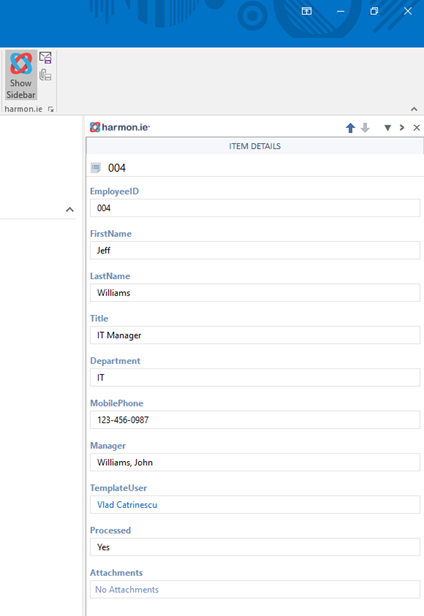 To allow users to be more productive every day, harmon.ie integrated their intelligent Collage technology directly in the harmon.ie Outlook Add-in, therefore allowing users to surface relevant information without them even having to search for it. By surfacing relevant information automatically, users are more productive and they don’t even need to search for something, it’s simply there for them, allowing them to make educated decisions faster. All this while interacting with SharePoint directly from Outlook. 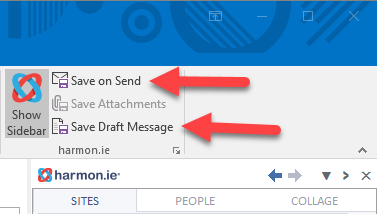 In this blog post, we will review the latest version of harmon.ie for Outlook. 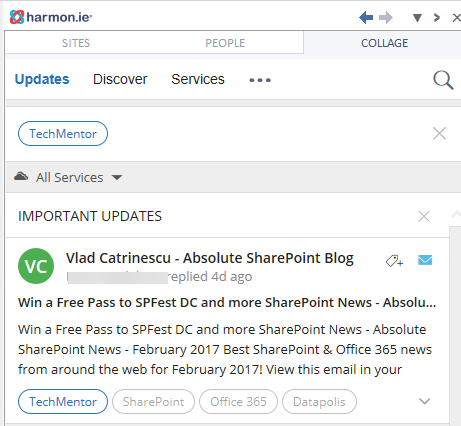 The first and traditional part of the harmon.ie Outlook Add-in, now with Collage Inside™ is that it allows users to interact with SharePoint directly from Outlook. 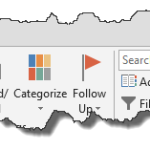 The add-in is deployed in a user’s Outlook client and is displayed as a sidebar in Outlook. 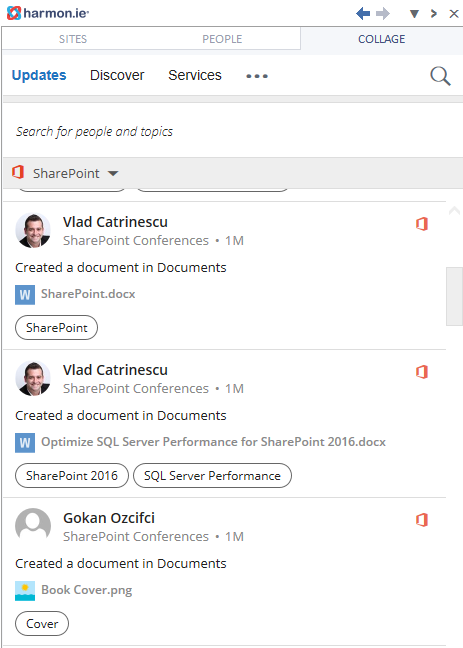 After connecting the relevant SharePoint sites, users can view, open and even drag and drop documents to upload them into SharePoint. Also, users can drag and drop documents from the sidebar, to their new email, and a link to the document will automatically be included in the email. This way, everyone will view the latest document, and make edits to the same document. It is also easier than sending it as an attachment, which means your users will see SharePoint as something that increases productivity, rather than something they have to do because you force them to! By making it easy for information workers to work with SharePoint, users can now focus on work instead of technology. This way people are working on the same document – no document chaos and information is available to all, so the people can focus on work. The Outlook harmon.ie add-on also allows you to collaborate on the most common type of document, which are emails. When composing a new email, you can save the email into a SharePoint library after sending it, and you can also Save the Draft Message. This way, multiple persons can look at the email and modify it, before sending. When clicking on send, a popup will appear asking you where you want to save the message. It remembered my last location which was Documents, so I click Yes, and the email is sent to client, as well as saved to SharePoint. 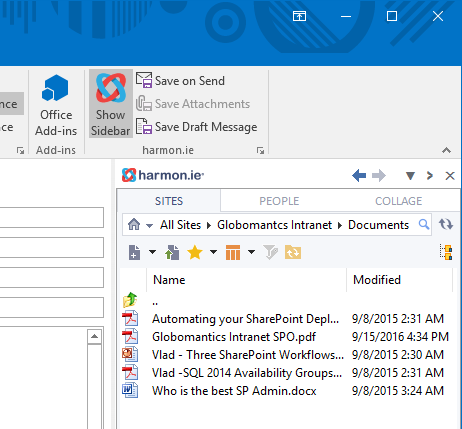 The harmon.ie Outlook Add-in also allows you to view and edit the information in all columns of your documents in SharePoint, so you can get the full collaboration experience, right from your Outlook. 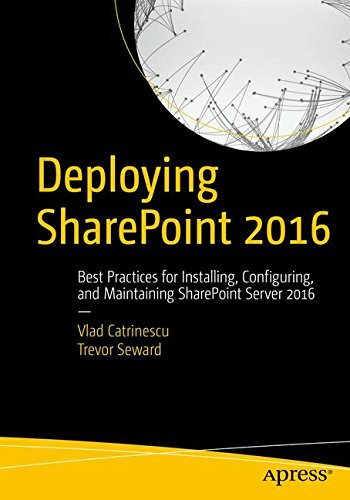 I am not going to go in depth with all the features of the SharePoint integration because I covered them in a past review on my blog (if you have never read about harmon.ie before, I highly encourage you to read that review as well). However, I want to consider what is special in this new version, which has Collage built in. The first thing that you need to do when wanting to use Collage, is connect all the services you are using. 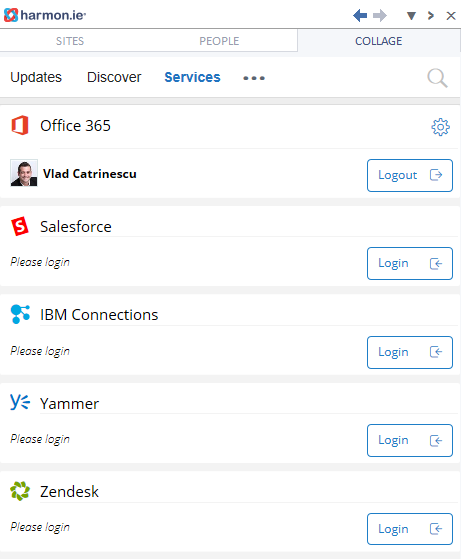 You can connect Office 365, Salesforce, IBM Connections, Yammer as well as Zendesk. Usually I run reviews on test accounts, however since Collage looks at my emails and extracts the meaningful topics from them, I needed an active Mailbox with a lot of content to be able to review its functionality. Since it is my real mailbox, some items may be blurred. 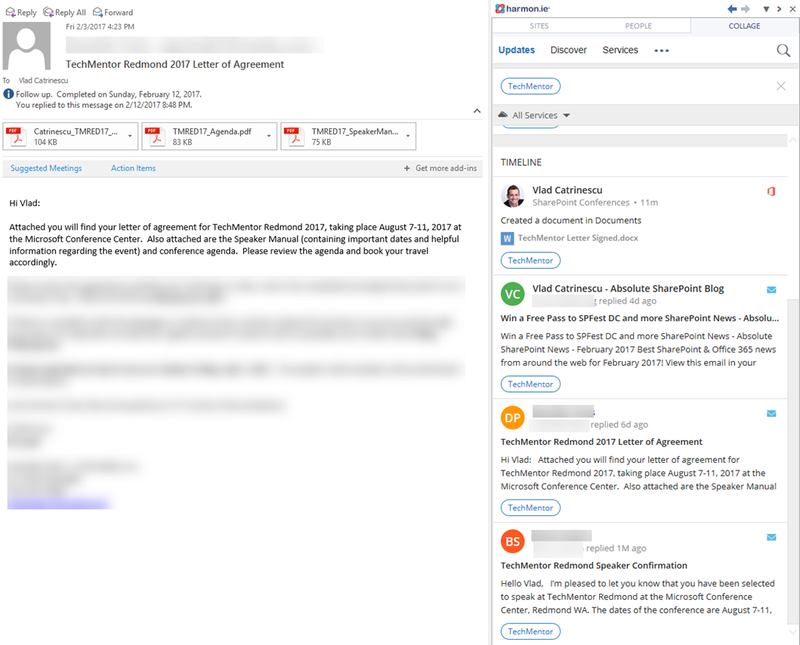 After connecting my Office 365 account, I went into one of my emails, which was about TechMentor, a conference I will be speaking at in August 2017. Collage analyzed the email and saw that one of the topics contained in the email message was TechMentor. Collage also automatically showed me other emails that talked about the same topic, directly in my Outlook without me needing to do a Search! 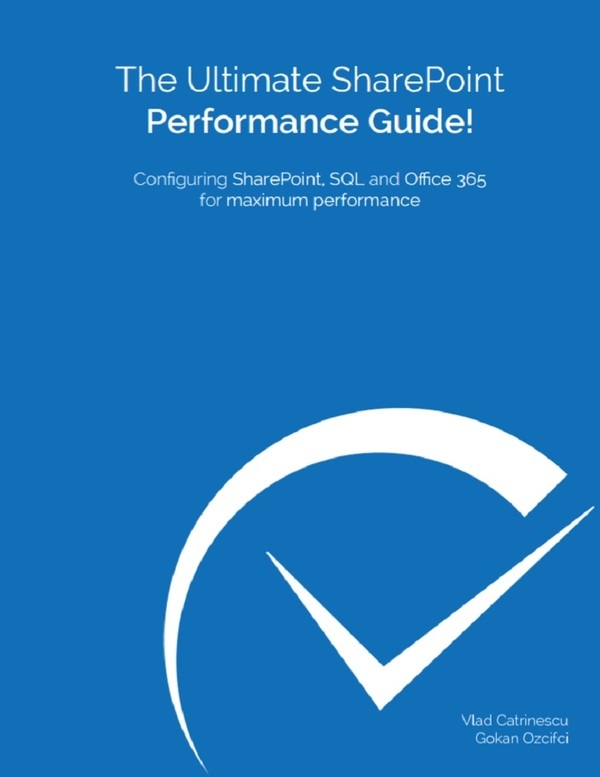 Furthermore, not only did it show me results from my email, but also from SharePoint! Since Collage relies on Machine Learning, which of course is not always 100% perfect, I can also add custom topics to this email, and harmon.ie will try to look in the topics already identified in other emails to keep the search effective in the future, but I can also add a new topic that was never identified before. Also, one email may be assigned multiple topics. As you see when I searched for items with the topic TechMentor and hovered over an email I received around the subject, I can see that this certain email also talks about SharePoint, Office 365 and Datapolis. 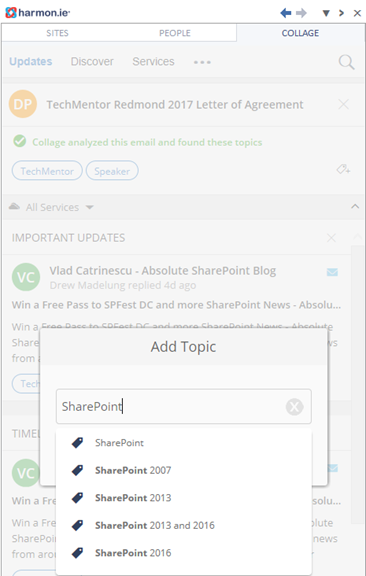 The automated topic extraction doesn’t only work with emails, but it works with all my cloud services, so Collage automatically surfaces relevant documents from SharePoint, records from Salesforce and all my other cloud services. harmon.ie Collage also has a Discover Tab, which allows you to see trending documents around you, and show you documents that the Microsoft Graph thinks you might find interesting. The idea is really good, and it works well to identify recently changed documents. One minor quibble I had with Collage was that it could not open documents in my default browser, Chrome and instead opened everything in Internet Explorer. It turns out that because the Collage add-in (and all Outlook add-ins) runs in Outlook inside Internet Explorer (Microsoft Add-ins Web architecture), there is no option other than opening the document in Internet Explorer. So this is unfortunately an Office 365 limitation and I guess it won’t get fixed until Microsoft will fix this limitation on their end. In this blog post we have reviewed the latest version of the harmon.ie Outlook Add-in, which now contains Collage. 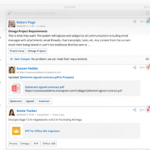 With Collage built-in, harmon.ie enables users to not only view, upload and manage SharePoint documents directly in Outlook, but also to easily find and display emails, documents and conversations from multiple systems directly in Outlook. 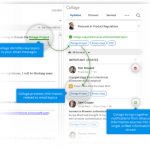 By having Collage surface information to use automatically when we simply open an email, we can focus on the work, without having to go to multiple systems to find all the information required to make an educated decision. Even if I only tested Collage with two systems (Outlook & SharePoint), I found it to have tremendous value in easily surfacing all my important information, and surface related documents and emails about a certain topic, without having to search in multiple places, and it automatically assigned topics to everything for me which is quite awesome. As with the other harmon.ie products I have reviewed in the past, the quality was top-notch, I didn’t encounter any strange or unexpected behavior, and the interface was super easy to use, without ever needing to open the instruction manual. If you are looking for a product that allows your users to view / upload and collaborate on SharePoint documents directly from Outlook as well as find all the information they need, from multiple systems, directly in Outlook, you definitely need to check out harmon.ie! You can find them at https://harmon.ie/ or by clicking on the banner below.